In episode #19 of the New Zealand Brewer Podcast we are joined by Hamish Ward, the head brewer at Deep Creek Brewing. Hamish shares a bit of his personal journey as a brewer as well as the story of Deep Creek, the beers that they brew, and some of the recent changes to their business model. In this episode Hamish was also generous enough to share the recipe for their Dusty Gringo India Brown Ale. 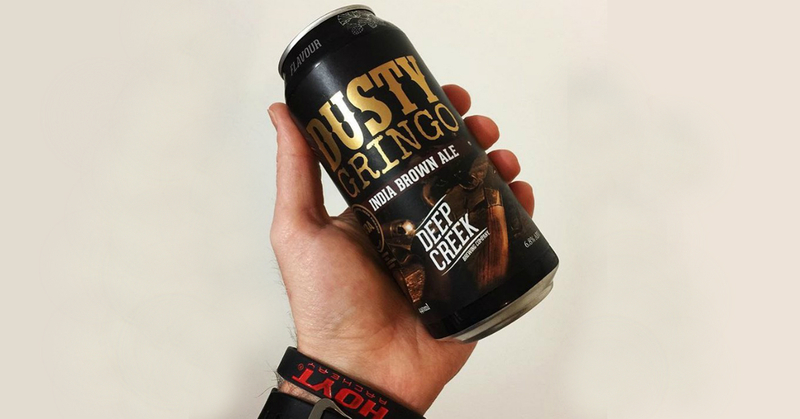 Dusty Gringo won a gold medal and was named Champion American-style Ale at the 2017 New World Beer & Cider Awards. We also crack into a clone attempt of Boneface Brewing Company’s Darkness India Stout that was sent in by one of our listeners. Next post NZB Podcast Episode #20 - Hey Day Beer Co.
Have you thought about adding the podcast to Spotify? You state “wherever you listen to podcasts” but I can’t find you on Spotify. Yes, the podcast has been submitted to Spotify. We are hoping it will appear soon. Podcasts being available on Spotify is a relatively new option. They only began rolling it out earlier this year and until recently it was only available through certain podcast providers (who we do not use). Things are opening up slowly, but it’s not as simple as just submitting your podcast and getting automatically listed. We need to wait for them to add the podcast to the platform. because we host our files on our own server rather than with a provider, the process is even more lengthy and involved. However, fingers crossed, it should be available on Spotify before too long. Thanks for asking.